Fuel pump for AD4-203 & A4-318 diesel engines, two-hole mounting. Fuel pump for AD4-203 & A4-318 diesel engines, two-hole mounting. 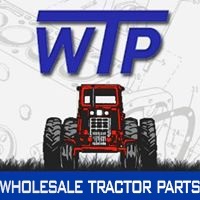 Tractors: MF165 (s/n 29F4249 & up), MF255, MF285, MF298, MF698, MF1080, MF1085. Industrials: 30, 40B, 50, 50A, 302 & 304 (s/n 29F4249 & up), 3165 (s/n 29F4249 & up). Combine: 540. Replaces 26471328, 2641333, 2641336, 886100M91, 14466155M91, 1447693M91.